A U.S. delegation is in Beijing to follow up on an cybersecurity agreement made during Xi Jinping’s visit. The new bilateral dialogue was one of the highlights of Xi’s visit to the United States, and will represent the highest-level regular talks on cyber issues between the U.S. and China. That dialogue will be co-chaired by Homeland Security Secretary Jeh Johnson and Attorney General Loretta Lynch on the U.S. side, and will include representatives from China’s Ministry of Public Security, Ministry of State Security, Ministry of Justice, and the State Internet and Information Office. 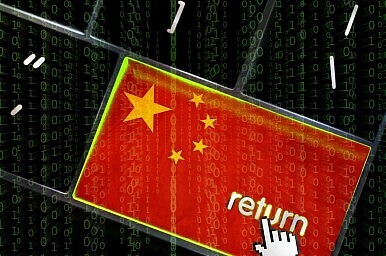 Chinese state media also released information on China’s domestic fight against cybercrime on Wednesday. According to Xinhua, China’s Ministry of Public Security said that police arrested over 900 hackers involved in 400 cases, thanks to a campaign that began in July 2015. The ministry added that China is stepping up its fight against cybercrime, with the establishment of 300 new facilities specializing in cybercrimes (including evidence collection). Xinhua added that the ministry plans to strengthen international law enforcement cooperation on cybercrime. The dialogue on cybercrime announced during Xi's visit to the U.S. holds its first round of talks.